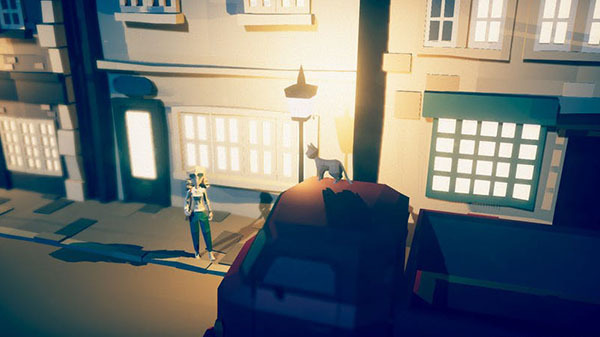 The Fig campaign for Hidetaka “Swery” Suehiro’s The Good Life will end today at only 35 percent of its $1.5 million funding goal achieved. But Suehiro won’t give up, and is planning to use what he and his team learned during the Fig campaign to relaunch the game on Kickstarter by the end of 2017. To all my beloved supporters, investors, and future supports. On September 3, I announced The Good Life at PAX, then started a crowdfunding campaign together with Fig. It was the first time I’ve ever done such a thing. But unfortunately, our 40-day battle ended in failure. Looking back, there are a lot of things that could have been better about this campaign. The first thing that comes to mind is the fact that the game’s title and concept design art were leaked two weeks prior to the campaign announcement. Due to the leak, a lot of people ended up thinking that The Good Life was going to be a compact game with 2D graphics. After spending a lot of time trying to hide the info that was leaked, we failed to provide you all with accurate data about the game in the early stages of the campaign, and so people became very unclear as to just what kind of a game The Good Life really is. A lot of people probably lost interest in the game at this stage, and I deeply regret that. I also think the concept trailer that I put together only made everyone even more confused. Most of the response to the trailer were positive, but I think that people who actually watched the trailer started imagining all sorts of different things, so we ended up only getting further and further away from The Good Life‘s actual content. I also regret not announcing G-rounding’s involvement in the project from an earlier stage. I should have pushed that message much harder. Yukio Futatsugi’s (creator of Panzer Dragon) company is going to produce Swery’s (creator of Deadly Premonition) new game. This is a fact. Not only that, but Noboru Horita, art director for Rez, and Machi Koro (City Dice) will also be working on the project as some of our trusted staff members. Not PRing this powerful tag team more than we did was a huge mistake. I also feel like we confused a lot of our supporters with the bundles and extras. I think all my supporters must have needed a lot of courage to choose the “Purchase an Extra Sheep” option, without fully understanding how the game worked. I’m deeply grateful to everyone who pledged and invested. We may not have been able to hit our goal this time, but please, don’t worry. All of your passion has touched the hearts of every member of our development team. Your support has become the fuel we’ll use to carry on. Well, we learned a lot of things from running this campaign, and we believe that the only way to truly fail is to give up. We refuse to give up in bringing you The Good Life. What we plan to do is relaunch the campaign as a Kickstarter, and launch before the end of the year. We will use all of the information that we learned from this campaign and make the Kickstarter one that we believe can succeed. This will include a clearer trailer and information on both versions from the start, a lower goal (due to some great partners that will be joining production, that we’re excited to announce), physical editions of the game with our pals at Limited Run, and a big, proper PR push at launch. Please look forward to it, and wait just a little bit longer! Although we’re disappointed we couldn’t hit our goal, we believe that the interest and support that we’ve gotten from you all is real and genuine, and that you want this game to exist, and we won’t stop fighting, and improving, until we can get this game in your hands. And once again… thank you all so much. PC, PlayStation 4, Kickstarter, The Good Life, White Owls Inc.